Mix a light application of a balanced organic fertiliser into the soil prior to planting. In summer, drench plants every two weeks with a liquid fertiliser. African daisies look best when planted in groups or masses, perhaps framed with cineraria, ageratum or annual verbena. Osteospermum make great flowers for containers. 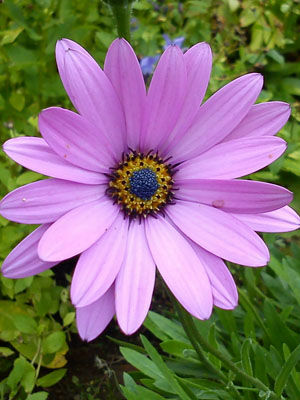 Osteospermum colours include pink, white, and shades of yellow. The plants will bloom for eight weeks or more if old flowers are removed.